Use this 3" two-sided stainless steel and nylon anvil on the countertop or at the bench. 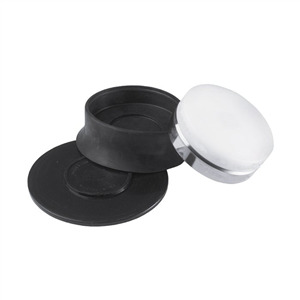 The rubber base prevents slippage and minimizes hammer percussion. The stainless steel face offers a perfect surface for shaping. This product was added to our catalog on Friday 12 September, 2014.